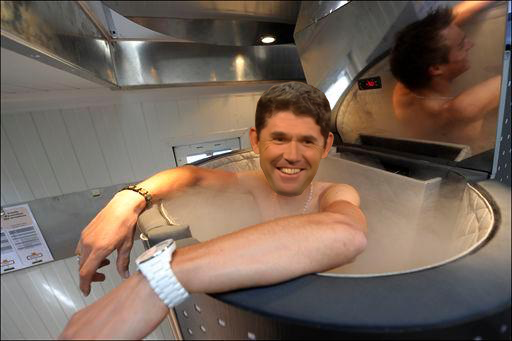 Fair play to Padraig Harrington; he's always up to some hair brained scheme designed to take over the golf world. But the best thing about the three time Major Champion is that is always more than willing to talk about what he's up to. Or show us in the case of his latest gimmick; do six minutes at -140 degrees in a cryo bath to help boost testosterone. Here's Padraig getting into the freezing cold bath and ordering some extras from the menu. Oh the pain!